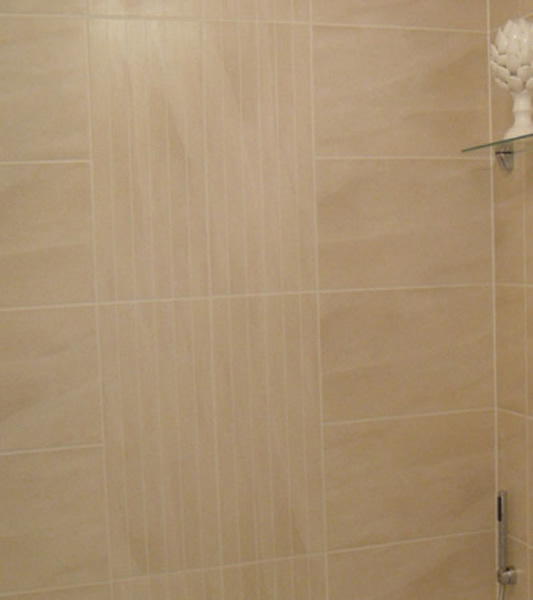 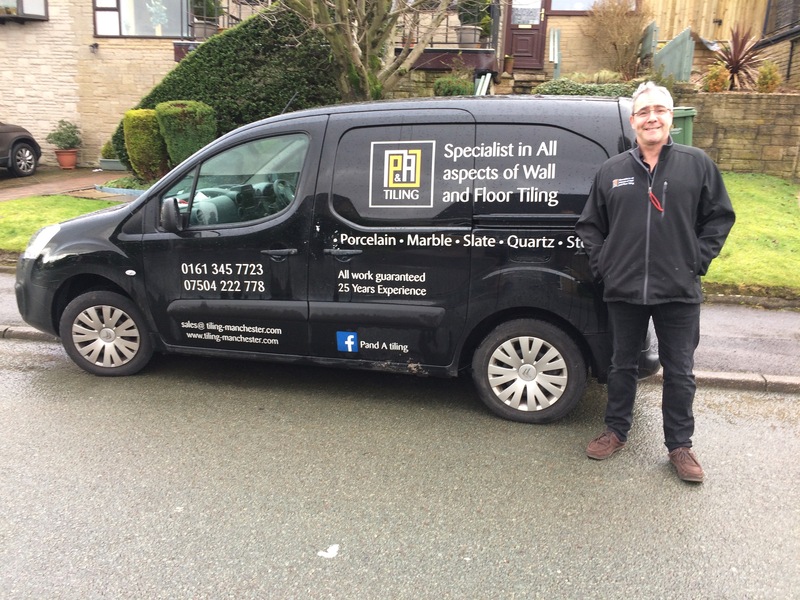 P&A Tiling offer a complete bathroom floor tiling service and because we also can supply and fit the bathroom we make sure that everything goes together in the best possible way. 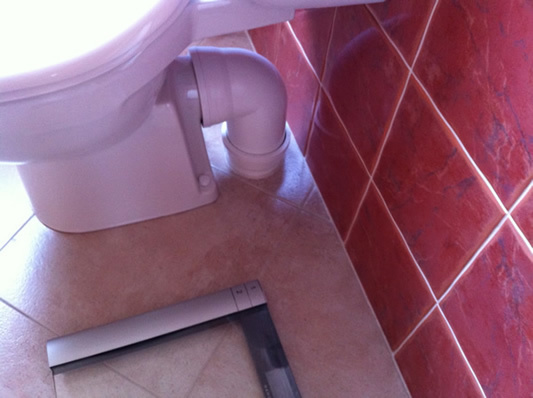 One of the most important things to get right is the out let for the soil pipe through the tiling as this makes all the difference to the look and hygiene in the bathroom as you can see from the picture on the right we are experts in this area. 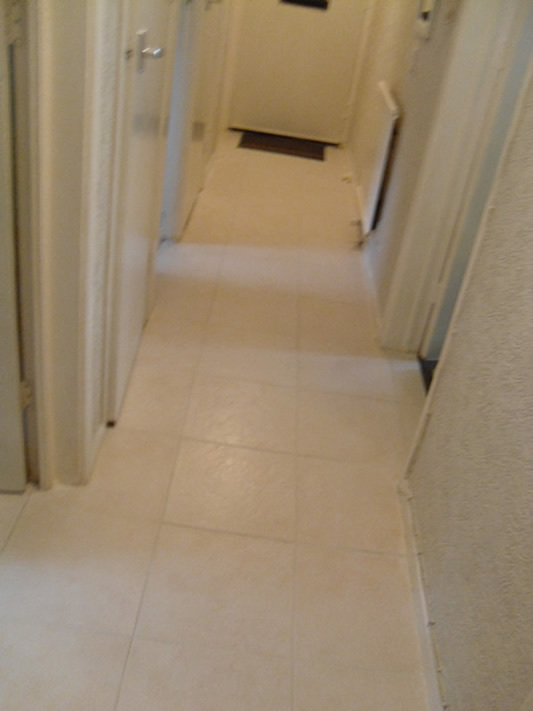 We have over twenty years experience in cutting and fixing the tiles we cut tiles accurately giving you the perfect job. 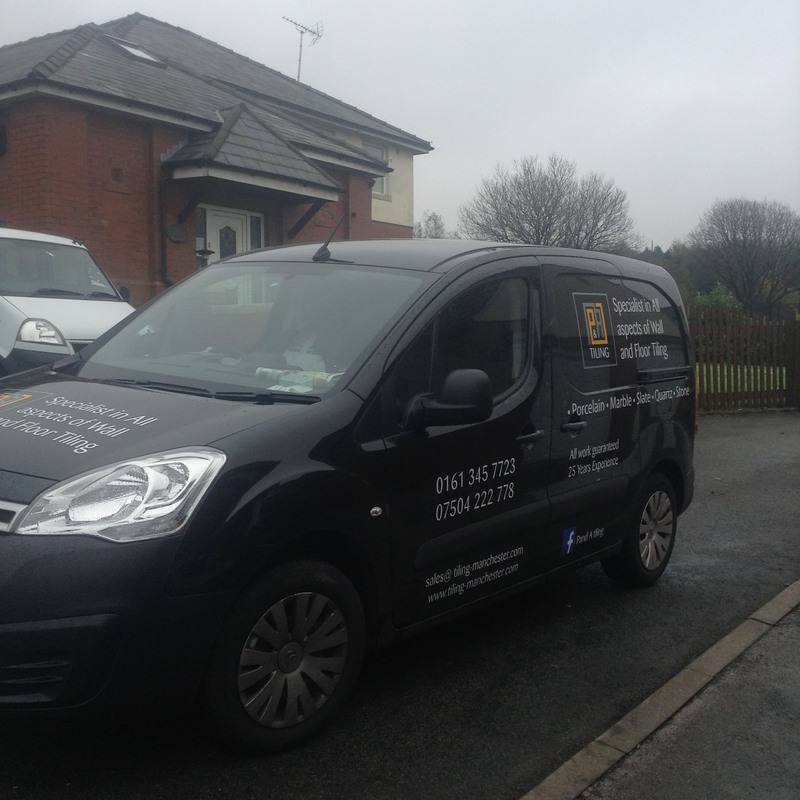 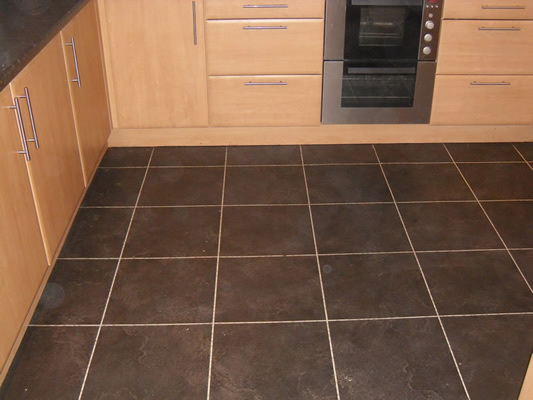 We can supply and install your fitted kitchen we always make sure that the tiling accurately fits the units. 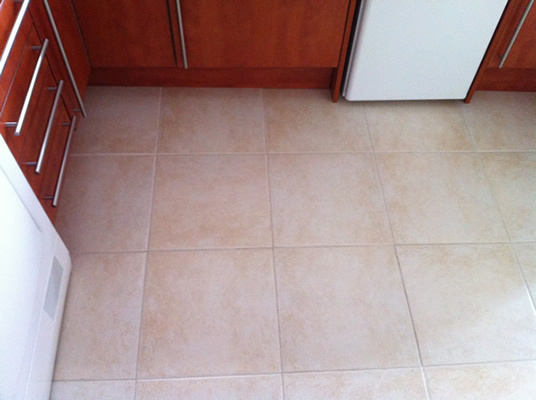 Kitchen floors require special consideration for the high traffic and the usual spills and the odd falling pot or pan. 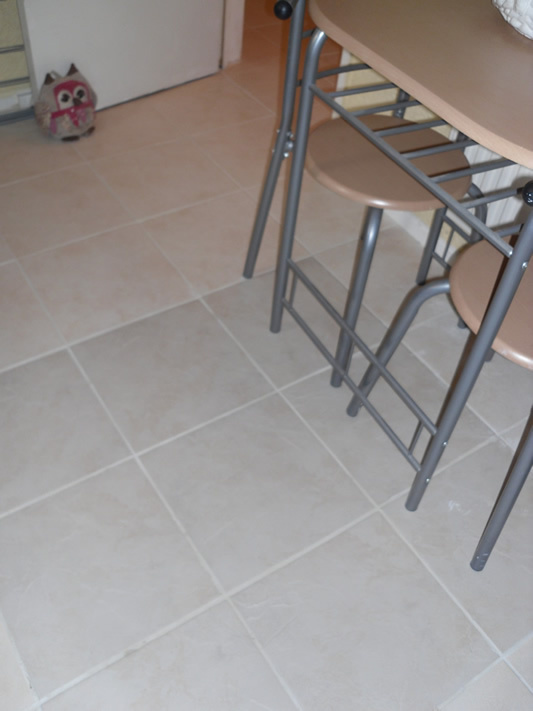 We use the best material to resist the trials a tribulations of the modern kitchen and with twenty years experience we know how to get it right so get you free kitchen floor tiling quote now. 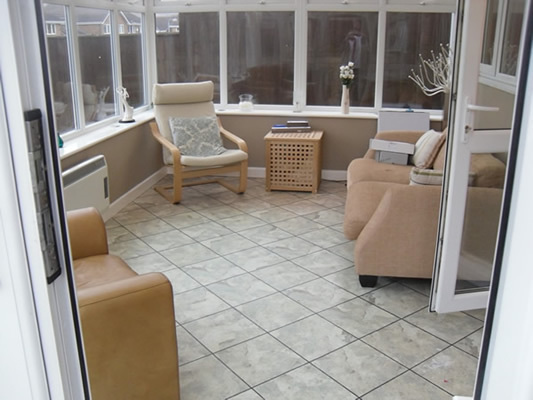 P&A Tiling offer a complete under floor heating service which is probably the best way to heat a conservatory, the heating system is neatly hidden away under the tiles. 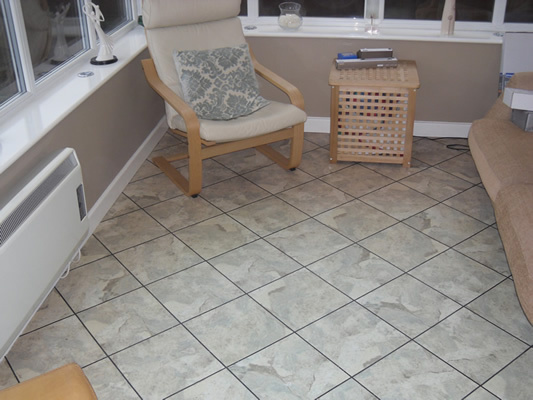 Once the tiles have become warm the whole room is at the right temperature with no cold spots as can be found when using any other type of heating. 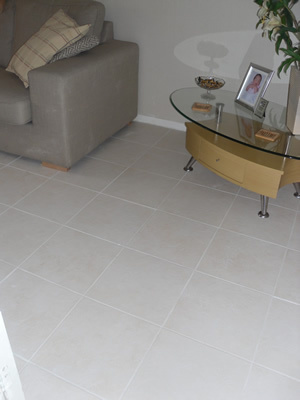 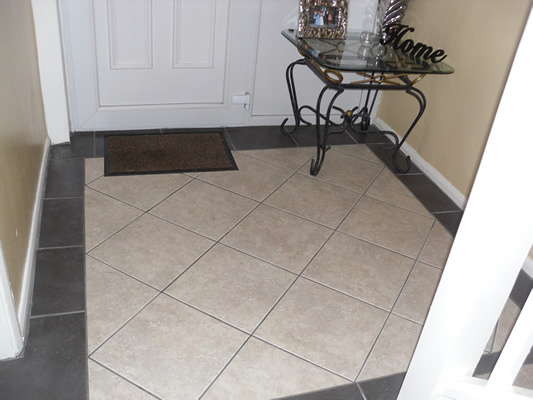 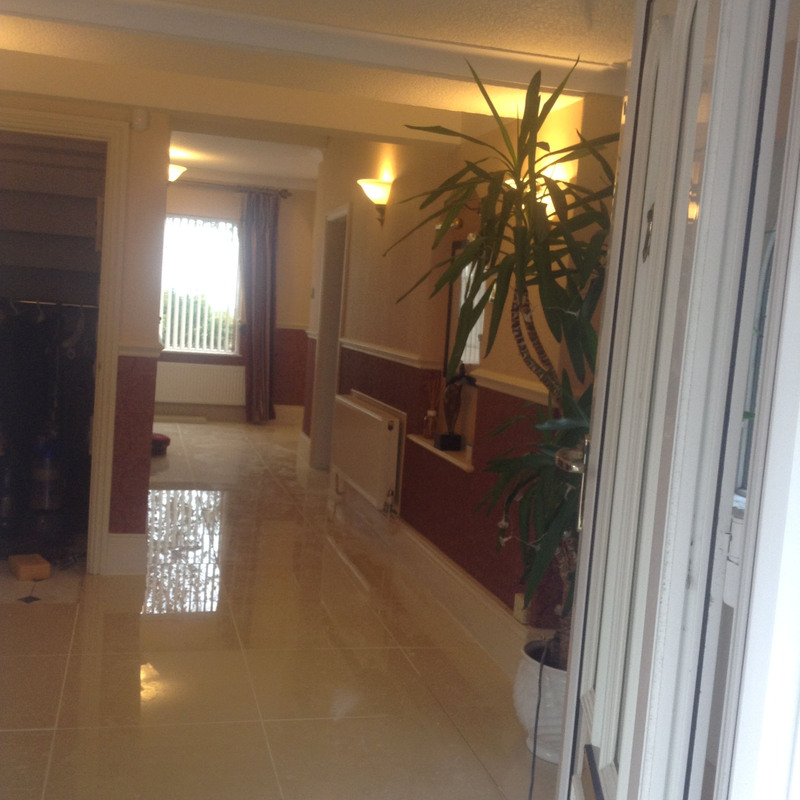 We are happy to give you a free quote and be sure that our tilers are the best and cleanest in the area with twenty years experiance in all types of tiling.